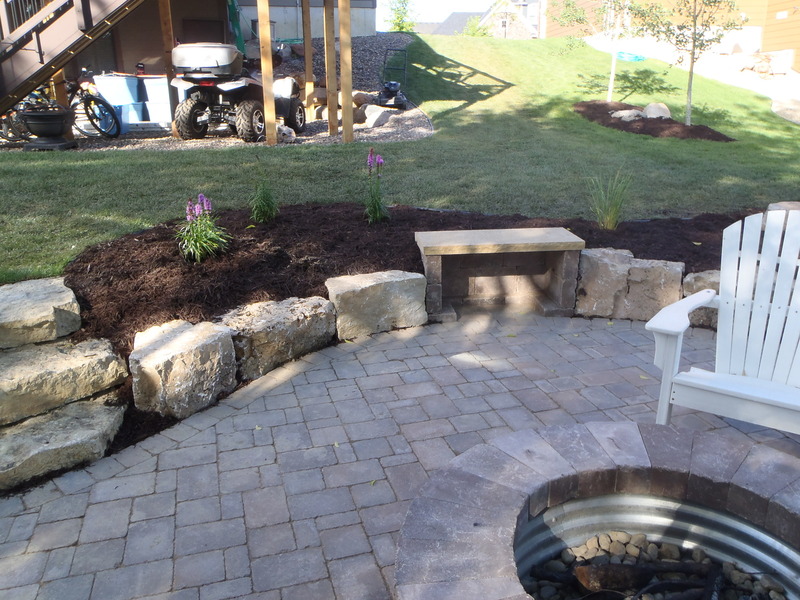 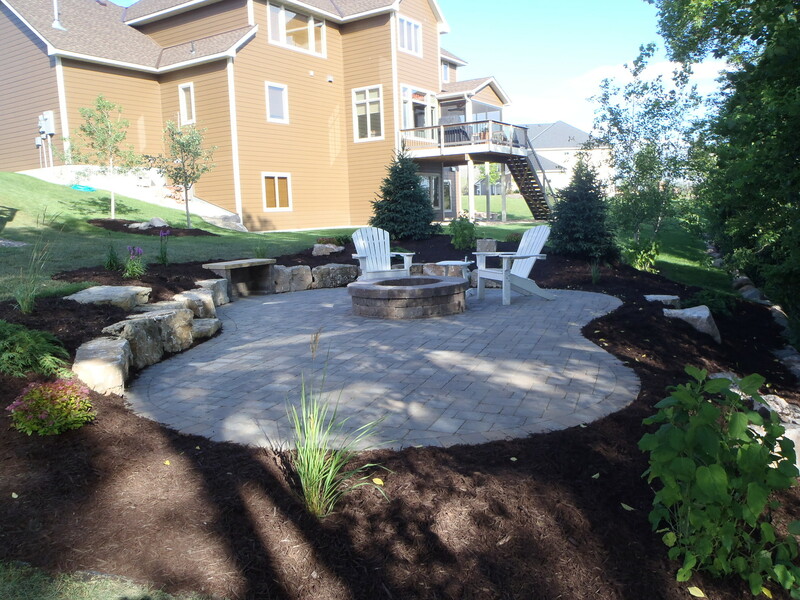 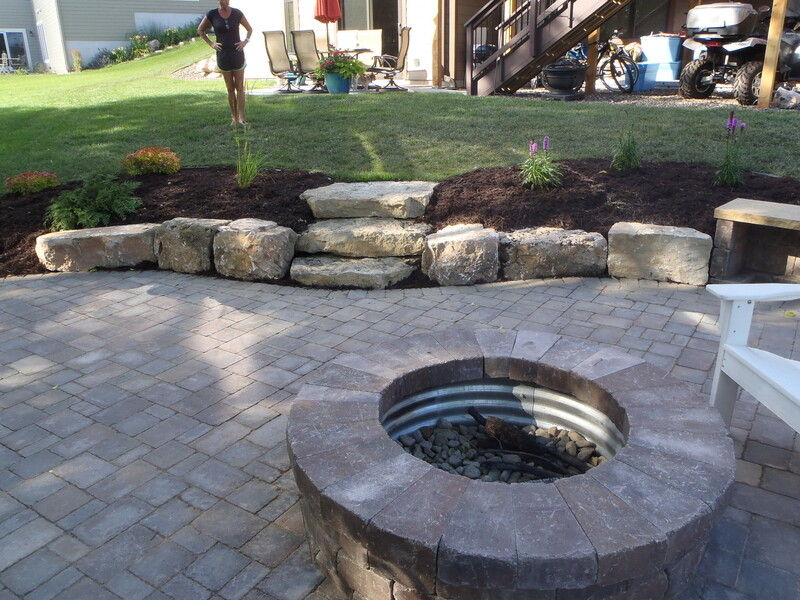 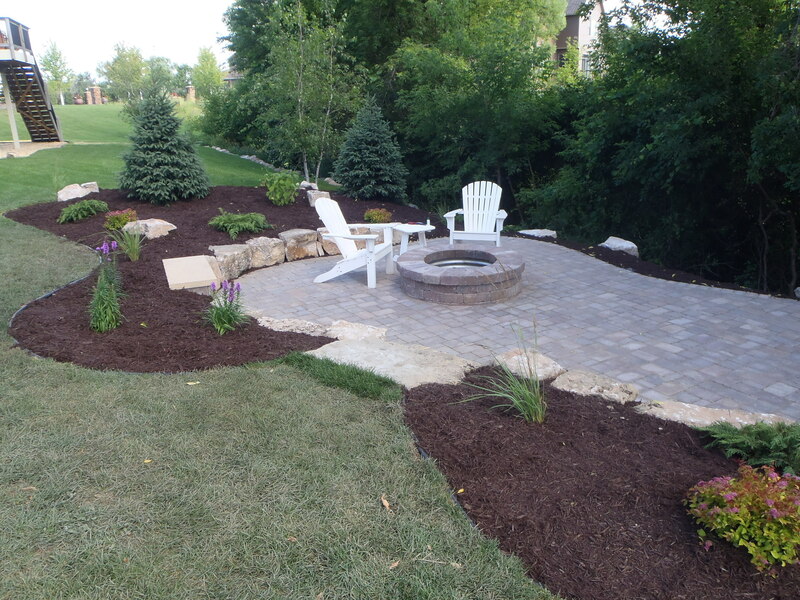 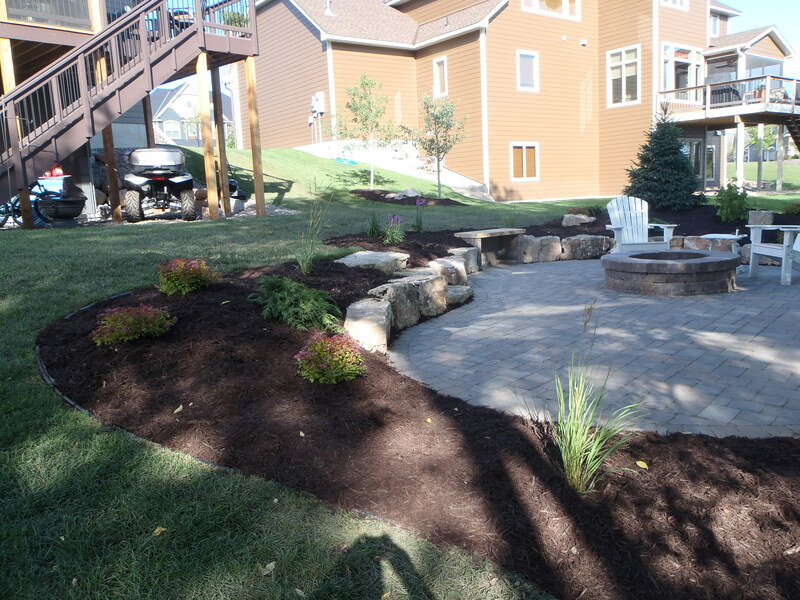 This custom fire pit in Maple Grove, MN featured limestone cube retaining wall that also doubled as extra seating around the fire pit. 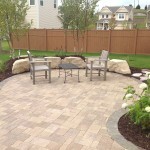 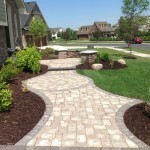 The Borgert Cracovia pavers for the fire pit and matching wall stone used to make the wood burning fire pit. 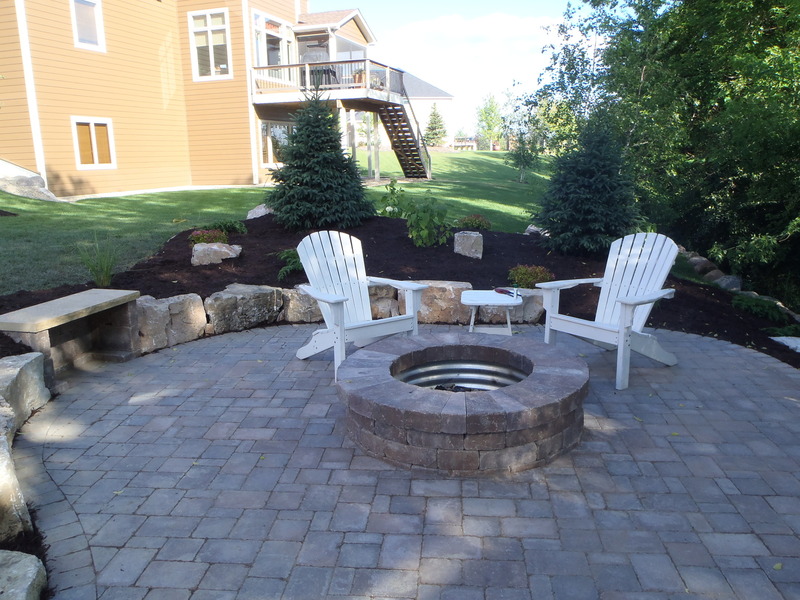 The landscape around the fire pit utilized some Black Hills Spruce to offer a nice screening from the neighbors when out enjoying a fire.